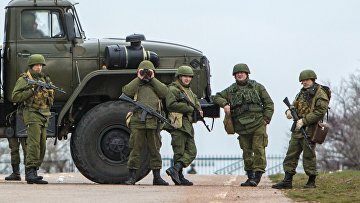 National Guard: Major Overhaul of Russia’s Security Forces | Russian Legal Information Agency (RAPSI). President Putin signed a decree launching a major overhaul of Russia’s security agencies. Thus, the Federal Migration Service (FMS) and the Federal Drug Control Service (FSKN) are to be reincorporated in the structure of the Interior Ministry, whereas IM interior troops should be transformed into a National Guard directly subordinated to the President. The newly created National Guard, which takes over Special Rapid Deployment Units (SOBR), Special Police Units (OMON), and extra-departmental security forces, as well as the Special Operations Center of Rapid Response and Aviation Forces, becomes one of the most powerful national security structures. According to estimates, the National Guard will number some 350,000 to 400,000 men. However, the government has yet to propose the size of the forces actually needed. According to the Presidential press service, the rules and legal framework of the National Guard's operations will be laid out in detail in a draft law to be discussed and approved by the State Duma (lower house of the Russian Parliament). The Presidential decree points out that the transformation process should be completed by June 1, 2016. "The decision has been made, we are establishing a federal body of executive power on the basis of the Interior Ministry Troops," Putin said at a meeting with Interior Minister Vladimir Kolokoltsev, Federal Drug Control Service chief Viktor Ivanov, and Interior Ministry Troops commander Viktor Zolotov, who was appointed as the head of the new agency. "We are establishing the National Guard, which will be involved in fighting terrorism, organized crime,” – the President said. The Presidential decree specifies the main duties of the National Guard, which should include fight against terrorism and extremism, participation in the territorial defense of the Russian Federation, protection of important state facilities and special cargoes, support for border guards, and the monitoring of compliance with the law in the areas of arms circulation. The decree also specifically notes that special units within the National Guard should be under operational command of the Interior Ministry and its territorial agencies. The rules governing this subordination should be agreed between the heads of the Ministry and the National Guard. This way police may at any time use special forces now outside of its structure. It is expected that the reform should answer several most pressing challenges by improving overall law and order environment, optimizing respective budgetary spending, and making away with functional overlapping in the security sector. The reform has met a positive response within the Interior Ministry and the State Duma.